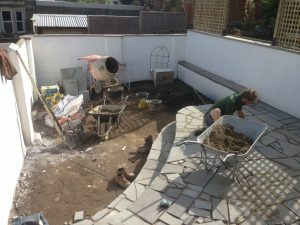 Crazy paving has long been common place in England but rarely installed today. 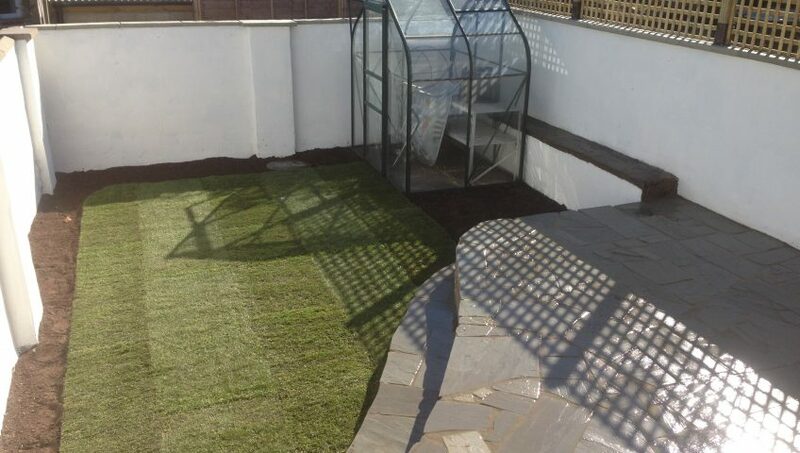 This garden in Knowle needed an overhaul but on a limited budget. 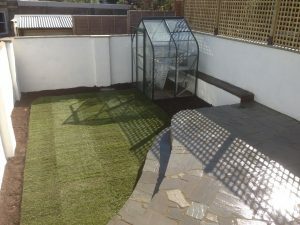 A combination of new and old paving was installed in a new curvaceous fashion to give the garden some interest. 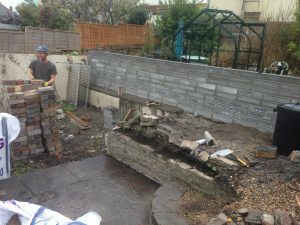 Walls were rendered and painted and a small bed was left for the customer to plant out.